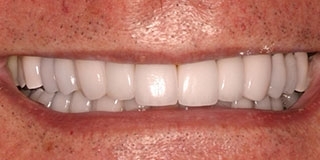 As prosthodontists, dental restorations are our specialty. We will work diligently to ensure that the comfort and appearance of your dental restorations are completely satisfying to you. The bulk of our restorations are created in our own, on-site lab. Our technicians are able to call on decades of experience to fabricate beautiful work for you. For more information about the many restorative and esthetic dentistry options we offer, we encourage you to browse through the sections below and follow the links that correspond to in-depth pages. 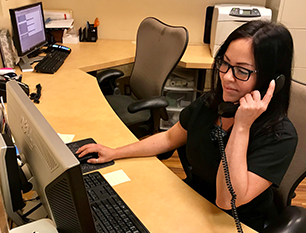 If you are considering a specific procedure, please contact our office to schedule a consultation with one of our experienced dentists. 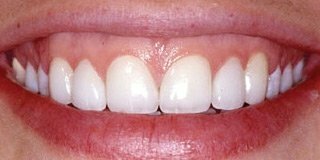 Porcelain laminate veneers are one of the most transformative, minimally-invasive cosmetic dentistry enhancements available. 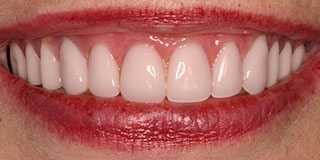 Veneers are fabricated from porcelain-based all-ceramic materials and are bonded onto the front-side of teeth to create a more beautiful and pleasing smile. 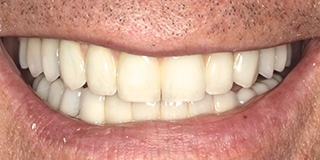 With proper treatment planning, porcelain veneers can change the apparent shape, size, spacing, alignment, and color of your teeth to create the most desirable esthetic outcome. 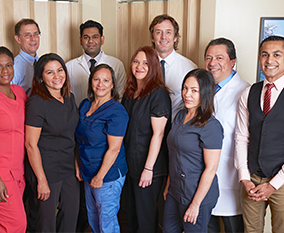 Using a variety of restorative and esthetic dentistry techniques, Dr. Sheth can improve dental health and tooth structure compromised by decay, disease, and trauma. 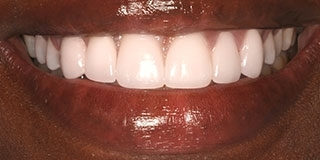 Whether patients require replacements for missing teeth, restorations to rebuild damaged tooth structure, and/or a complex combination of procedures, his goal with full mouth rehabilitation is to create highly-customized treatment solutions that deliver healthy, functional, long-lasting results. 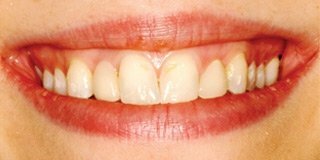 Dr. Sheth’s expertise in esthetic techniques helps him achieve smiles that look both beautiful and incredibly natural. 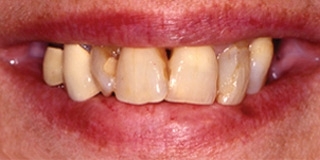 Learn More about full mouth rehabilitation. Invisalign® is a simple, comfortable, and very effective therapy for straightening your teeth. 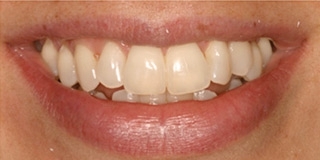 The treatment uses a series of clear aligners that are custom-molded to fit you. Your doctor will not need to use traditional metal wires or bands that can irritate your mouth, and best of all, most people will not notice that you are receiving orthodontic treatment. 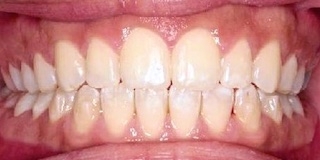 The virtually invisible aligners gradually reposition your teeth into a smile you can be proud of. 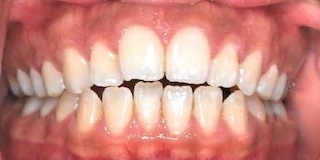 Bleaching is an effective and safe method to lighten the color of teeth. Our practice offers both in-office and at-home teeth whitening procedures which utilize ADA-accepted, peroxide-based bleaching agents to whiten teeth several shades. 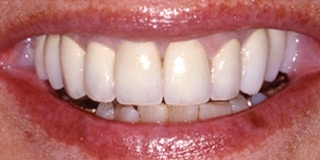 Bonding is a procedure that uses chemical adhesives to “bond” a restoration to a prepared tooth surface. 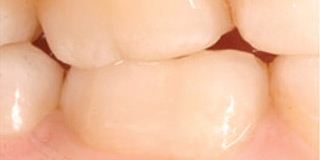 In the bonding process, a dilute acid is applied to the tooth structure to prepare the surface, which is then coated with a liquid composite that mechanically interlocks in place. When used in the proper clinical situation, bonding can provide strong, long-term adherence of a restoration – such as composites – to a tooth. 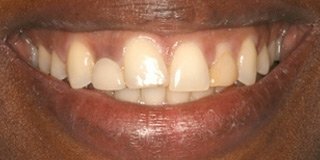 Furthermore, bonding can help in minimizing the amount of tooth structure needed to be removed in order to place a successful restoration. 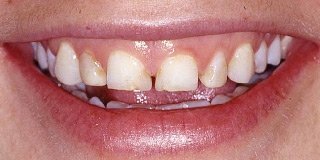 A dental crown is a tooth-shaped restoration that covers an entire tooth that has become badly decayed or damaged. 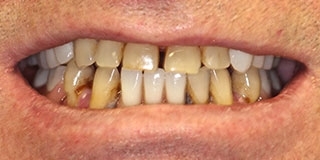 Crowns are generally used when the damage or decay is so extensive that filling materials, such as composites or amalgams, cannot offer a good long-term restorative solution. 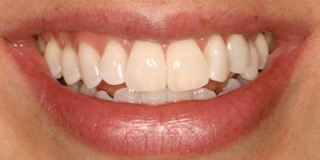 Crowns can also be used in esthetic situations to change the shape and color of teeth. Crowns are made from noble metals (e.g. gold), porcelain fused to metal, or even all-ceramic materials. Together, you and your prosthodontist will make the decision on which type of crown is best for your given clinical situation. Also known as fixed partial dentures (FPD), bridges offer a definitive solution to missing teeth by acting as a replacement that stays fixed in the mouth. 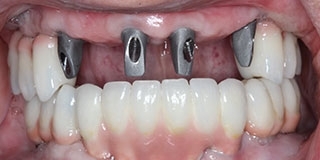 When one or more teeth are missing, an FPD can be used to suspend replacement teeth while being supported by implants or teeth adjacent to the toothless area. 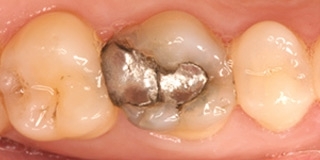 FPDs are usually made of porcelain fused to a noble metal, such as gold or silver/palladium, and are cemented into place. This allows your dentist to create a strong and esthetic restoration that should last for many years. 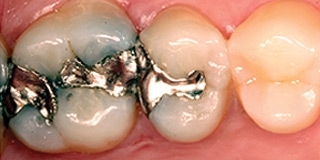 Inlays and onlays are created when tooth structure is insufficient to properly support an amalgam or composite filling, but requires only partial restoration. 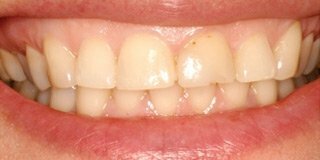 Instead of removing healthy tooth structure to fit a crown, inlays and onlays are fabricated as a less invasive alternative. These restorations are cemented into place and are usually made from either gold alloys or porcelain-based ceramics. 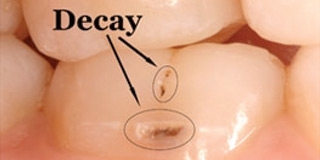 An inlay is placed in a prepared space within the confines of the tooth. 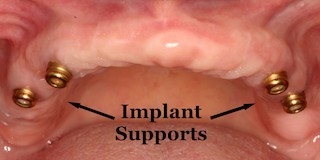 An onlay is placed on the tooth to help build up its shape. You and your prosthodontist will make the decision on which type of inlay or onlay is best for your unique case. 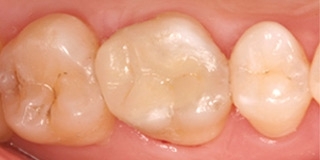 Composites are tooth-colored resin restorative materials used to repair teeth. 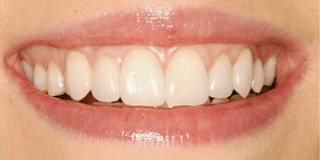 They are applied to teeth in a soft plastic state, shaped to the proper dimension, and then hardened with a light or laser. 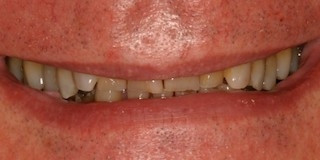 Composite restorations are retained in teeth through mechanical interlocking and/or bonding. 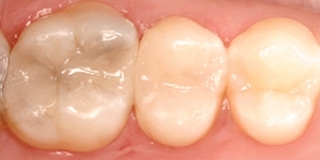 The hardened composite restoration can then be polished to a highly esthetic finish. Composites can be used to eliminate decay, correct small chips and fractures, fix discolorations, or close spaces between teeth. Dentures are removable devices that are used to replace teeth. 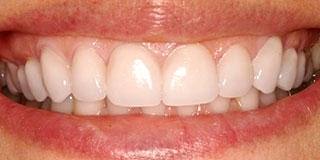 The replacement teeth are held in an acrylic or metal/acrylic base that covers the gums. Complete dentures replace all the teeth on either your upper or lower jaw, whereas a partial denture replaces some of the teeth on a given jaw, relying on dental implants or clasps to grip a few of the remaining teeth for stability and retention. If you are currently unsatisfied with your removable dentures, ask your prosthodontist about dental implant-supported options. 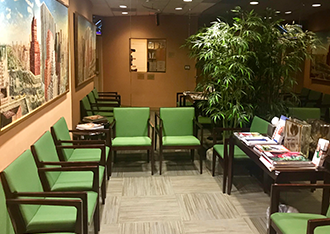 To learn more about the esthetic and restorative dental treatment options we offer, please contact our practice to schedule an informative consultation.